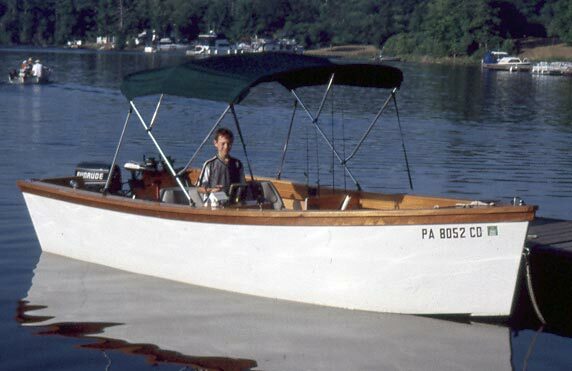 Jim Maas designed and built this 17'6" flat-bottomed skiff. Launched in the summer of 2001, it is the fourth boat he has built. 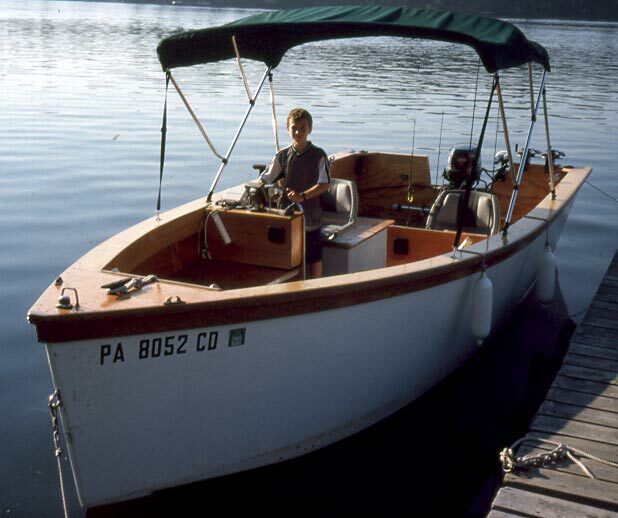 He boats mostly in the Chesapeake Bay and Delaware River, but spent some of the summer at Lake Newboro, Ontario, where he says that wooden guide boats are not uncommon. 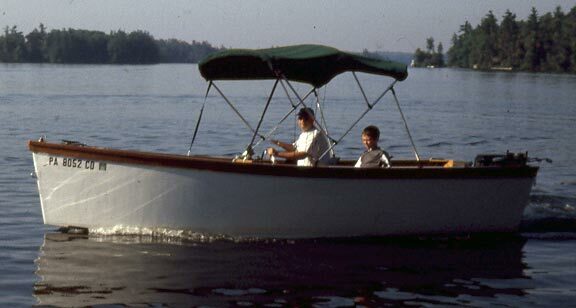 Jim uses a 30 hp Evinrude to power his craft. The bottom of the hull is fashioned from a double thickness of 1/4" plywood, while the sides are a single layer of 1/4" marine fir plywood. The frames are also made of fir, and the cleats and rails are made of mahogany. Everything was sealed with epoxy. Write Jim at 3795 Barberry Road, Center Valley, PA 18034.